Our specialist self-catering holiday company, Cottages & Castles, celebrated its 100,000th booking after experiencing a marked increase over the summer months in the number of holiday makers opting for a 'staycation'. Our specialist self-catering holiday company, Cottages & Castles, celebrated its 100,000th booking after experiencing a marked increase over the summer months in the number of holiday makers opting for a staycation'. Over the summer months, We have found that a good proportion of bookings are from guests living in the UK choosing to holiday at home, as well as an influx of visitors from Europe taking advantage of the favourable exchange rates over the summer period. Properties in the castles category' performed particularly well with a 20% increase in summer bookings against last year's figures. In celebrating its milestone booking, Cottages & Castles donated 1500 towards the Princess Royal Trust for Carers allowing groups of carers to enjoy a long weekend at some of the most luxurious properties in its castles' portfolio, throughout the year. 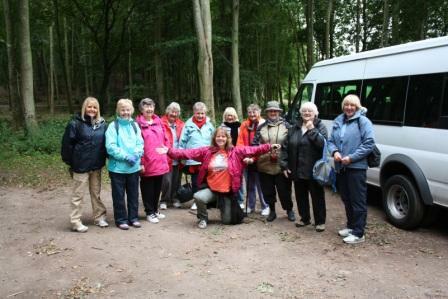 The first group of carers to experience the all expenses paid trip was from the Dundee Carers Centre, an affiliation of the Princess Royal Trust for Carers, a network of carers' centres throughout the UK. 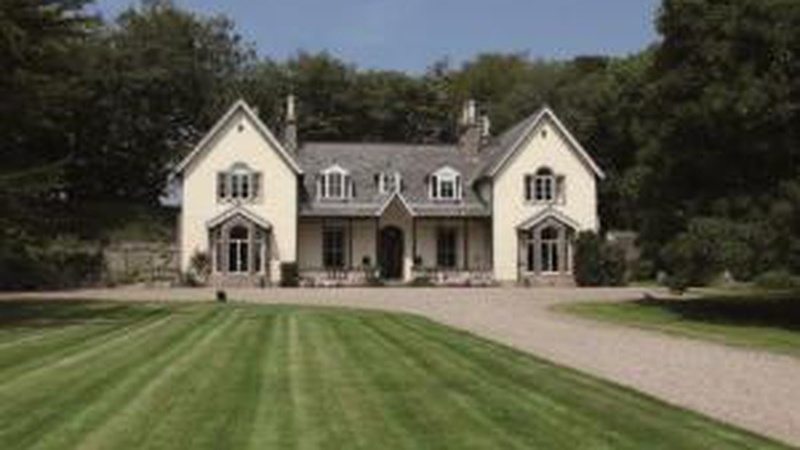 Nine carers and two staff members led by Lisa Walker, Operations Co-ordinator at the Dundee Carers Centre, recently enjoyed a luxurious stay at the fantastic 19th century Fawsyde House, a Victorian mansion located near Stonehaven, just 25 minutes drive from Aberdeen. The C-listed house, styled as a grand hunting lodge, offered a delightful stay for the group, with sumptuous furnishings combined with period features, as well as boasting delightful mature grounds and private tennis court for all to enjoy. 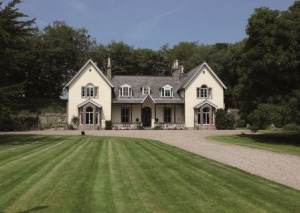 Sue Bourne, Manager of Cottages & Castles said: "We believe that Scotland and its fantastic properties should be enjoyed by as many visitors as possible, especially those who do not get the chance that often, due to commitments, to take time off and experience what our country has to offer. It was therefore a great pleasure to reach this milestone in our business by celebrating with the Princess Royal Trust for Carers." Lisa Walker, Operations Co-ordinator at the Dundee Carers Centre, who accompanied the group on their visit, said: "To be able to enjoy such luxurious accommodation in a truly stunning area of Scotland was a tremendous boost for all the carers who participated. "Gestures like this are rare and I'd like to thank Cottages & Castes as well as the owners of Fawsyde House for such a fantastic weekend which provided much needed companionship from those in a similar situation to themselves." Many carers do not consider themselves to be a carer. They are just looking after their mother, son, partner or best friend, just getting on with it and doing what anyone else would in the same situation. More than one in eight people in Scotland provide care of this kind. "Lapped in the lap of luxury I felt like a pampered queen. Fawsyde is a beautiful Victorian mansion renovated to the highest standard in a manner sympathetic to its history and heritage with a fusion of handsome furniture and all mod-cons. It's been a privilege and a pleasure to stay here. Salve and solace for the soul of a carer. Thank You." "Wish I had this years ago when I felt so isolated. I have had mixed feelings as this has been the first time I have been away since my husband died. It has been great being treated like a lady in such beautiful surroundings. The staff have been tremendous. The surroundings of the beautiful house are out of this world." "The most enjoyable part of the weekend was being able to sit round the luxurious dining table, it was great that we could all sit together with the roaring fire, it was fantastic companionship. This has been the best holiday I have had in years, no responsibilities for anyone else." "It gave me a chance to put the worry and upset to the back of my mind and I could relax. Everything was wonderful." The Dundee Carers Centre has been supporting unpaid carers, young carers and disabled people since 1989 and now has over 25 members of staff as well as volunteers. Over the years, the organisation has grown into a key service provider within the care community in Dundee, developing and providing high quality services to meet the demand and needs of those who use them. As well as advice and information, the Centre provides practical and emotional support, advocacy, training and access to benefits and welfare rights advice. To find out more about the Dundee Carers Centre please visit www.dundeecarerscentre.org.uk or call 01382 200422. Visit Cottages and Castles for more information on the full range of properties over the Christmas and New Year period. Alternative to request a copy of the new 2010-11 brochure call 01738 451610 or email: sue.bourne@ckdgalbraith.co.uk.